On the last track, we discussed three characteristics of mixed states which included: irritability; distractibility; and boiling point. We also included three techniques for children who experience mixed states, which were Define your Emotions; Sensory Focus; and Contract to Avoid Conflict. As you know, when it comes to children, medications and the prescription doses will vary constantly. A bipolar child is already much less stable than a bipolar adult and there are several other factors affecting children and their medications. On this track, we will examine three difficulties in prescribing medication to bipolar children. These difficulties include taking regular doses; rebellious teens; and side effects. We will also include two techniques for combating these difficulties, which include Medication Routine and Other Non-Medicinal Treatments. The first and most common difficulty we will discuss is taking regular doses. Because children are not yet old enough to be responsible for themselves, they cannot remember to take their medication on their own. Because of this, parents must remember to remind their children about their medication. However, under the daily stresses that come with parenting, many parents of bipolar children forget. Missing one dosage or day is not really significant as long as the child picks up the medication the next day. However, going beyond a day or two becomes increasingly dangerous. As you know, reintroducing the body to a chemical after a period of withdrawal can shock the body. Marjory, mother of a bipolar child, had forgotten her seven year old daughter Elise’s prescription while they went on vacation. An even larger problem arose when Marjory found she could not have Elise’s doctor call in a prescription because stimulants are closely monitored by the government. Once she came back from vacation, Elise had to be put on a much smaller dose and eased into her previous prescription dosage. To help parents like Marjory, who may from time to time forget their child’s medication, I suggest they make up Medication Routine. This routine establishes a common time during the day that the client will take his or her medication. This time can be marked by a meal, an hour, or activity. For instance, Marjory told Elise that every day before breakfast time she would take her stimulant medication. Marjory also made Elise promise not to eat her breakfast until she’d had her medication. The second difficulty occurs when a rebellious teen stops taking his or her medication. Bipolar teenagers are in a delicate position. Often, the medication they take has unfavorable side effects such as weight gain and acne. These particular side effects are socially unacceptable and therefore increase the teen’s desire to quit medications. Also, at the early age of 13, as most parents know, adolescents wish to assert their independence and as a result make decisions that could be potentially dangerous to their health. They believe they know what’s good for them and soon challenge the authority and wisdom of their parents and doctors. 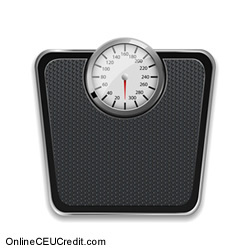 Kelly, a fourteen-year-old bipolar teen, felt self-conscious about her weight. Instead of changing her diet and exercise routine, Kelly blamed the weight gain on her bipolar medications. When Kelly began to feel stable again, she decided to stop taking her medication without consulting her mother or her doctor. For a while, Kelly felt energized again and enjoyed the manic feeling she had suppressed. However, Kelly soon noticed that she had become more irritable and soon, during a basketball game, instigated a fist fight with another player. This incident prompted her parents to investigate Kelly’s mood stabilizers which they found had not been taken. The fight was a reminder to Kelly how important medications are to everyone’s well-being. In addition to taking regular doses and rebellious teens, a third difficulty children face when taking medications is side effect. Many of these side effects are more annoying than dangerous, however, I find it beneficial to speak with parents of bipolar children about monitoring for dangerous side effects, such as higher energy that could lead to mania. Weight gain can, at times, be highly concerning for parents as well. A few pounds is nothing serious, but when a child gains thirty or more pounds within a span of two weeks, adjustments should be made. Also, I ask that children who experience severe weight gain be tested monthly to avoid developing diabetes while on medication. I emphasize to parents that a healthy diet and exercise are the best ways to combat weight gain and can also aid in a child’s self-esteem. Many parents are deeply concerned about side effects and psychotropic medications. To alleviate the parent’s concerns, I often recommend other non-medicinal treatments, which have proven beneficial in bipolar clients. Light Therapy, for example has been proven useful in clients whose depression is seasonal related. In light therapy, specially-designed bright lights are used to simulate the sun. We will discuss light therapy more thoroughly on track 11. On this track, we discussed three difficulties in prescribing medication to bipolar children. These difficulties included taking regular doses; rebellious teens; and side effects. We also included two techniques for combating these difficulties, which were Medication Routine and Other Non-Medicinal Treatments. On the next track, we will examine three non-medicinal treatments for depression. These treatments include: electroconvulsive therapy; light therapy; and repeated transcranial magnetic stimulation.